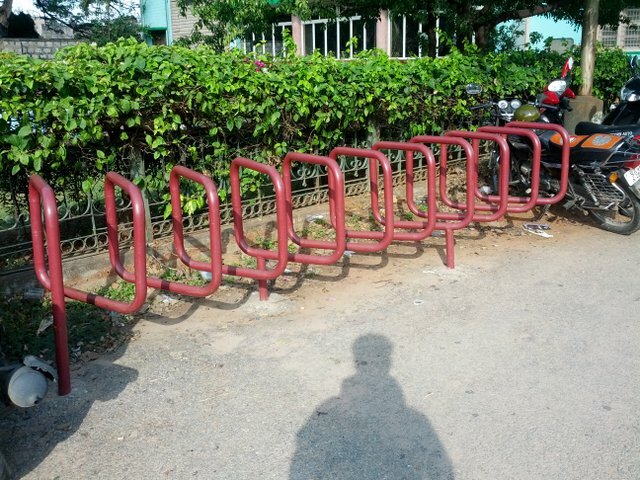 Cycle parking at public spaces has never been a priority in Bangalore, and for that matter anywhere in India. Most residential and commercial spaces are designed with no consideration for cycle parking and often, cyclists have to scuffle with security guards to get space for their cycles at offices and hotels. 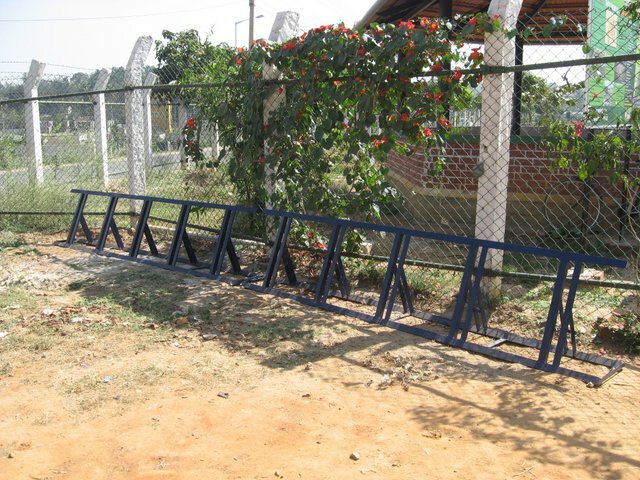 Even a much patronized place like Lal Bagh got its first proper cycle stand only in July 2011. In contrast to India, in many other countries, such as Japan, where I recently spent a few days, cycle racks and parking lots for cycles, formal and informal, can be found just everywhere! The Japanese model where cyclists and pedestrians share the same space is one that could work well in India – the cycle-paths and footpaths are one, and often, the seating spaces provided for people are designed to double up as cycle parking spaces. So people on cycles and people walking use the same infrastructure. Our gardeners at the lake (who come to work on cycles) had mentioned that they were worried about the safety of their cycles while at work, so they would often keep them inside the shed. Some of the visitors who cycled to the lake would chain their cycles to the chain-link fencing, poles or growing tree trunks while they went around the lake for walks or jogs. While these are practical options, we felt that we really did need to give some dedicated space to cycles so that those who use them will know that we want to encourage their use. What we needed was a place for about ten cycles to be parked and secured, usually for short periods of time. 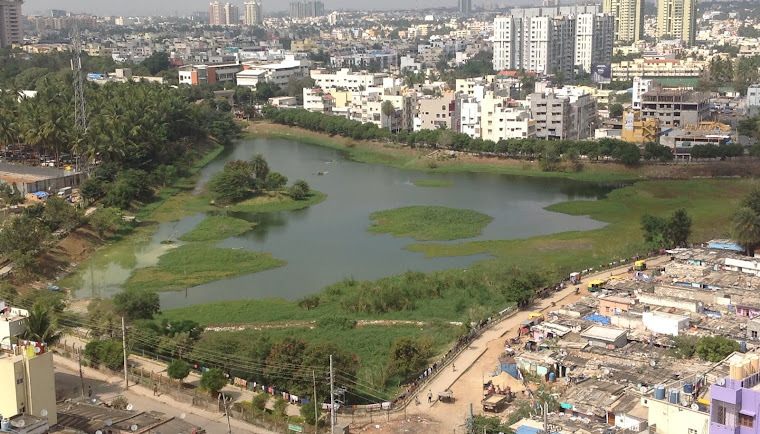 At Puttenahalli Lake, we've been constantly looking at how we can reuse discarded material and minimise cost (cost often comes down with discarded material 'cause you get it for free or at very low prices - as people usually don’t value what they're going to junk). 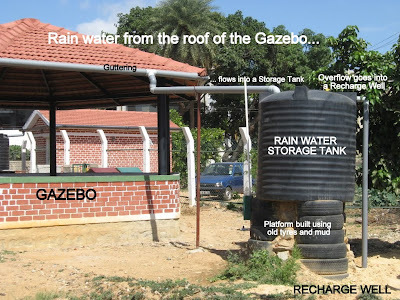 One example is a water tank that we have installed using old tyres as the base, that cost us a fraction of what it would have if we used metal and concrete. And it enables us to be more creative! So we were looking at how we could make a cycle stand using reusable material. Maybe discarded tyres or wheels or even cycle rims. We also thought of a simple horizontal bar (metal/ casuarina/ bamboo), to which the cycles could be chained. People often chain cycles to poles and trees, so another idea was to provide something tree-like - like 3 ft high casuarina/bamboo poles fixed firmly in the ground. We found many other design ideas on the internet which could be adapted to suit our need. However, innovation does require some time and effort to think through and then execute. So we got in touch with those involved in Ride A Cycle Foundation and Nammacycle, who are familiar with the bicycle scene in Bangalore. After getting a couple of quotes, we went ahead with a cycle stand similar to what Nammacycle is using at IISc, but made to accommodate cycles placed in one line. 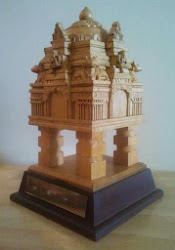 The total cost to set it up (including manufacture, delivery and fixing) was approx Rs 12,500/-. In future if we find the need to expand the cycle parking facility at Puttenahalli Lake, we hope we will be able to implement one that reuses, or, as is now often heard, one that upcycles! I was also in Tokyo in Sep and was amazed at the cycle culture. I even got one cycle from a Japanese colleague to roam around the place like a local. I double checked with my friend whether it is ok to ride on the footpath and it was so logical to let that. The other thing to keep in mind is that cycling doesn't exist just by itself, the other modes of transportation are also very well managed that complements cycling. The problem in Bangalore is that cycle culture is almost gone everyone wants to be in a motor vehicle. Situation is very similar in China - they have very good cycle paths, but only poor people ride cycles these days. Exciting times for our lake!